Ok, so far so good but nothing really useful as you need to hardcode the member’s UniqueName into the CUBEVALUE-function anyway so you already know the UniqueName. However, this is not the case if you are dealing with Pivot Table Page Filters and/or Slicers! You can simply refer to them within the CUBEVALUE-function but you never get the UniqueName of the selected item(s). Well, at least not directly! But you can use the approach described above, using an special MDX calculated measure, to achieve this as I will demonstrate on the next pages. !Caution! some weird MDX coming !Caution! The reason why it is rather complex is that Excel may group similar queries and execute them as a batch/as one query to avoid too many executions which would slow down the overall performance. So we cannot just reference the first element of our query as it may belong to any other CUBEVALUE-function. This MDX deals with all this kinds of issues. You may noted that I had to use CUBERANKEDMEMBER here. This is because filters and slicers always return a set and if we would pass in a set to our CUBEVALUE function a different MDX query would be generated which would not allow us to extract the single UniqueNames of the selected items using the approach above (or any other MDX I could think of). So, this approach currently only works with single selections! I hope that the Excel team will implement a native function to extract the UniqueName(s) of the selected items in the future to make this workaround obsolete! So why is this so cool? 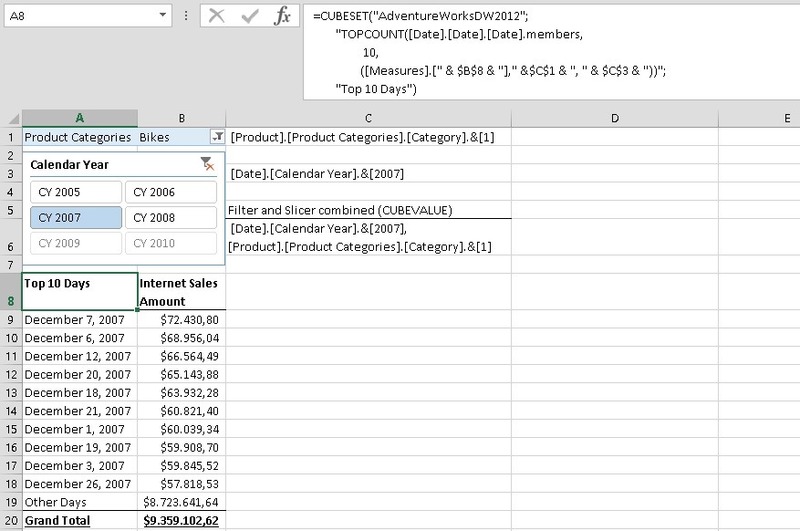 It works with SSAS (multidimensional and tabular) and Power Pivot as Excel still uses MDX to query all those sources. It may also work with SAP HANA’s ODBO connector but I have not tested this yet! It does not require any VBA which would not work in Excel Services – this solution does! The calculation is stored within the Excel Workbook so it can be easily shared with other users! There is no native Excel functionality which would allow you to create a simple Top 10 report which works with filters and slicers as shown above or any more complex dynamic report/dashboard with any dynamic filtering. So no more to say here – Have fun creating your interactive Excel web dashboards! 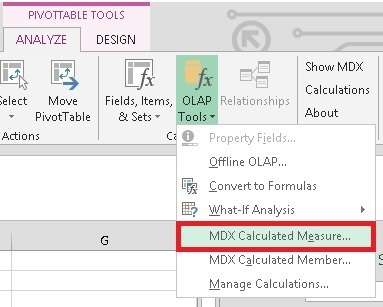 However, if you are not familiar with MDX, I highly recommend to learn it before you write any advanced calculations as show above as otherwise the results might be a bit confusing in the beginning! Especially if you filter and use TOPCOUNT on the same dimension! 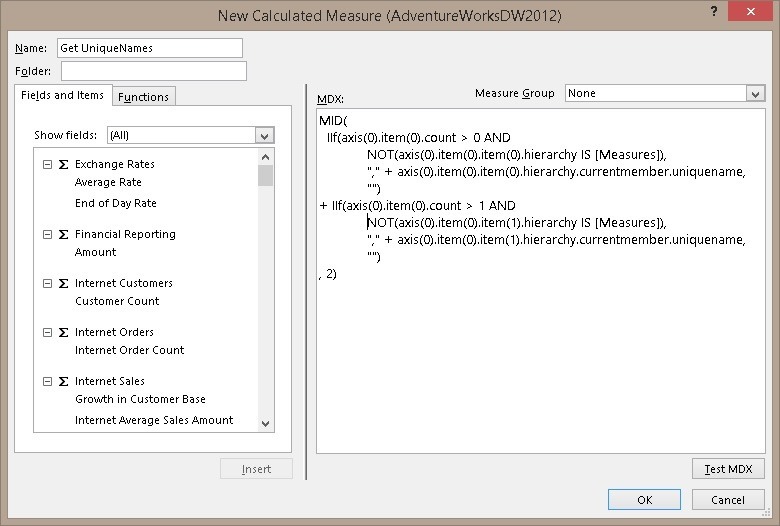 In my last post I showed a new approach on how to calculate the median in PowerPivot using DAX. In the comments the question was raised whether it is possible to make that calculation universal for all kind of Quantiles like Median, Quartiles, Percentiles, etc. and that’s what this post is about. The important part here is the “divide by 2” to split the set in the middle to start our Median calculation. Instead of dividing by 2 we could also multiply by 0.5 where 0.5 would be the separator for our quantile (in this case the Median). This expression can be made dynamic. For the first Quartile we would use 0.25 for the second Quartile (=Median) we would use 0.5 and for the third Quartile we would use 0.75. We also need to explicitly add ROUNDUP() as “([Cnt_Months] + 1) * [SelectedQuantile]” may return any decimal places whereas the previous divide by 2 could only result in a x.5 which was rounded up automatically. And well, that’s all we need to change in order to make the calculation universal for all different Quantiles! The rest is the same logic that I already described for Median calculation.